I already told you my thoughts on The Marriage Plot, but it wasn’t until Sunday that my book club met to discuss. I made the trip into Manhattan and headed to my friend Landrie’s adorable apartment below Houston. 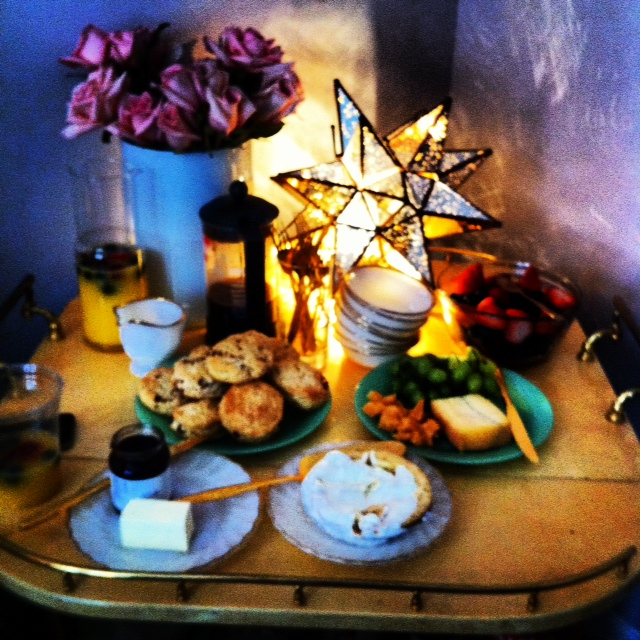 This is the beautiful spread she put together, complete with fresh flowers. See those biscuits? Made by yours truly. 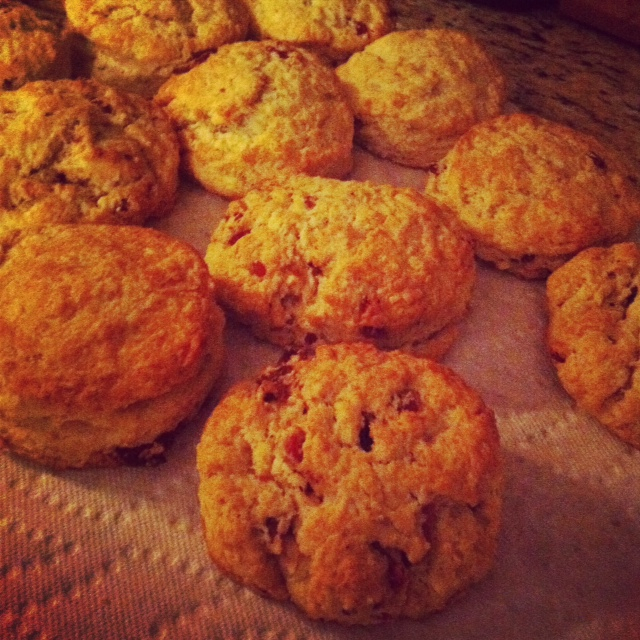 My first venture into the world of biscuits. It’s a world that I very much enjoy. Those aren’t just plain old biscuits, they are brown sugar bacon biscuits. A few of the other girls contributed and we had quite the brunch so I thought I’d put together a Book Club Brunch Menu based on the spread we enjoyed.